4 beauty products I can't live without. The past couple of years have really turned me into a beauty junkie, beauty product junkie that is. I guess that the older you get, the more interested you become in keeping your skin as flawless as possible -for as long as possible-. 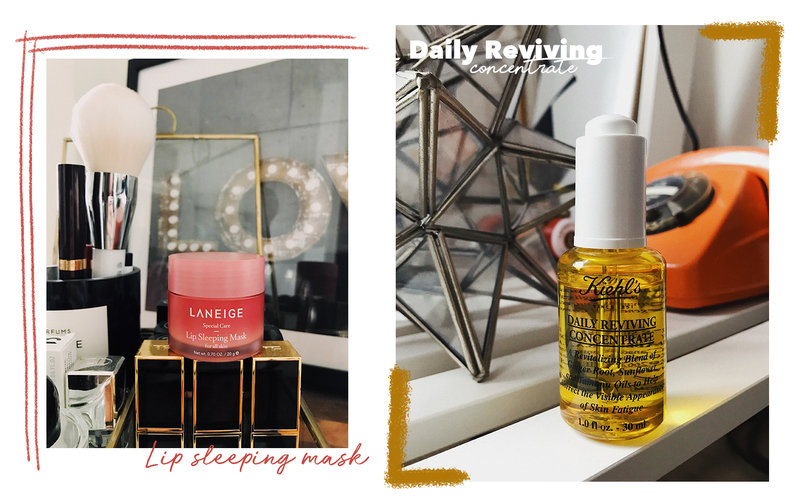 I have tried A LOT of products and there are still a lot I want to try, but I wanted to share these 4 I have been testing for weeks and I can certainly say, they will probably become a must have in my beauty kit. So lets get to the good part shall we? Kiehl’s Daily Reviving concentrate: I have been using Kiehl’s products for a while, but its was only when I went to Mexico a few weeks ago that I bought this face oil. My sister had it in her bathroom and I asked her if I could try it, which I did for a couple of days and I loved it so much, I ran and bought one for myself. It’s funny how I always used to try to stay away from face oils, in fact, the thought of an oil in my face was terrifying. I assumed that an oil would give me oilier skin and I used to try dry my face as much as possible. The more research I do, the mor eI realise that drying your skin can only cause more breakout problems, as your skin goes on defensive mode and starts producing more oil to compensate for the dryness. It was actually pretty logical but a lot of us dont/didnt see it that way. Nowadays, I am trying to drink at least 2 litres of water a day and hydrate my skin as much as possible and I can honestly say, my breakouts have diminished a lot. I use this oil in the morning after cleansing my face and adding a face toner. I apply two to three drops (max) on my palms and dab it on my skin until its absorbed. Then I apply my moisturizer. Jade Facial Roller: I’ve been seeing these rollers everywhere for about a year, so I decided to try it myself. I actually found a pretty great (and affordable one) and I have been using it for about three weeks. These rollers were believed to have healing and protective properties in ancient Chinese medicine. Nowadays people use them for facial massages, since we tend to hold a lot of tension in our face caused by facial expressions, stress and so on. This tension can be a leading cause of wrinkles, so it doesn’t hurt to treat you face to a little massage every now and then (or daily as I am doing now). These massages also promote circulation and rumour has it, it could also help with toning your skin (and hopefully improve the shape of cheekbones etc). I have been test driving my roller for about three weeks and so far I can say, my face feels great after using it. My cheekbones are already a bit pronounced but I am starting to see them a bit more. Whether that is caused by the roller I don’t know but I will definitely carry on using it! 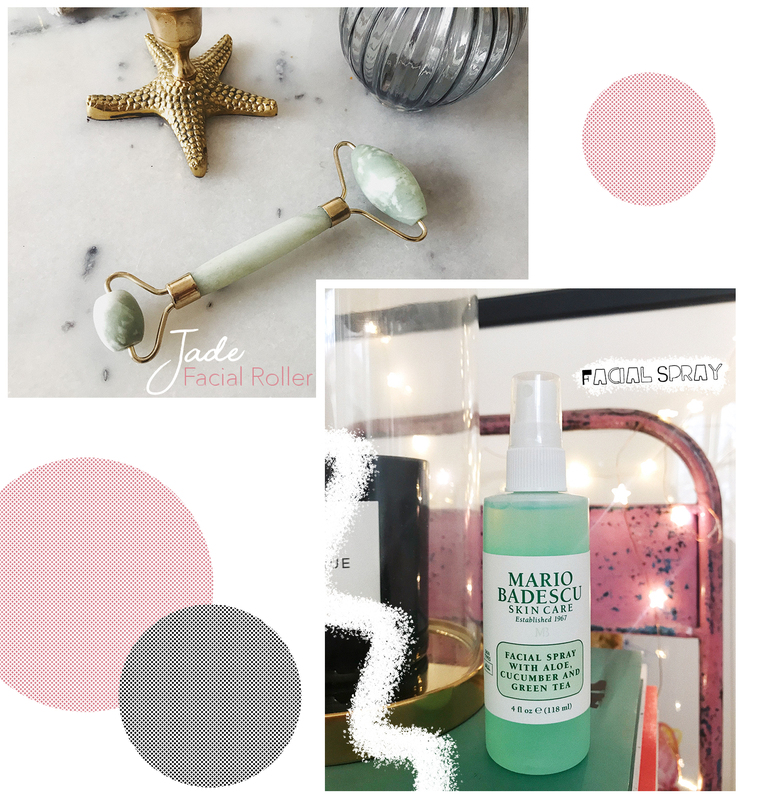 Mario Badescu Facial Spray: This spray is refreshing and a great addition to anybody’s beauty kit. Whether its on top of your makeup in the middle of the day, to feel refreshed and moisturised, or as a last step before going to bed. You will not regret this one and its a pretty affordable option. LANEIGE lip sleeping mask: I bought this mask when I went to Miami two and a half months ago. I actually thought it was a lip balm until I got back to Amsterdam and I read the box. I have been LOVING IT though, I cant even explain how much!. There’s nothing worst than having dry/chipped lips, so I have (jokes aside) about 4 to 5 lip balms in every purse, but very few leave your lips moisturised for more than a couple of hours. I apply this mask on my lips once I have my skin ready for bed and sleep with it. My lips feel plumped and hydrated in the morning and I love that feeling. I highly recommend this little product! HOW TO BECOME A MORNING PERSON. *HELP! Queremos presentarte nuestros servicios de belleza y spa. Porque queremos cuidarte y consentirte. Entra a glitzi.com.mx y ¡descúbrenos! I love this product, and I definitely tray this one. Thanks for sharing this product and details about description . Waaoo attractive things I saw in this post. 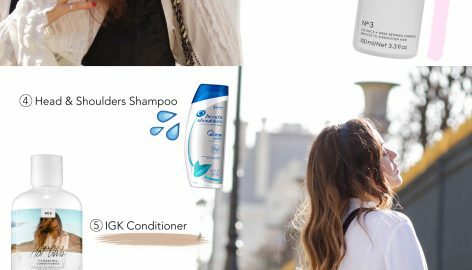 As a beauty freak, I would love to try these products on my skin to enhance my beauty. Thank you so much for sharing this. Me pasaba igual cuando pensaba en echarme aceites en la cara. COmo tengo la cara grasa pensaba que me engrasaría más. He probado solo un aceite y los resultados han sido positivos. Cuando me lo acabe probaré el de Kiehls, porque tiene buena pinta. Me encantaría probar el “jade roller”, tengo curiosidad por ver si hace algo. Un saludo Andy! Gracias por compartir! Pues a mi me ha gustado mucho! Aparte de que puedes encontrar Jade rollers muy baratos en Amazon. Vi algunos de 6 a 10 Euros. También hay de Cuarzo rosa que sirven igual. Suerte!!! Hola Andy! me ha encantado mucho este post jeje. Me ha sorprendido mucho el aceite de kiehls, ami me pasa igual, siempre decía que si me pongo aceite se me iba a quedar todo grasoso y eso lo odio ajaja .Los demás productos me han parecido muy interesantes y los voy aprobar jaja. Por cierto me encanta tu blog!